The Board of Deputies president cited Iran’s funding of Hezbollah and its alleged role in the 1994 bombing of a Jewish cultural center in Buenos Aires as examples of Iran’s involvement in international terrorism. Arkush also referenced the suicide bombing of a Bulgarian bus transporting Israeli tourists in 2012, which Europol suspects Hezbollah was involved in. Both Hezbollah and Iran have denied involvement in the terror attacks. 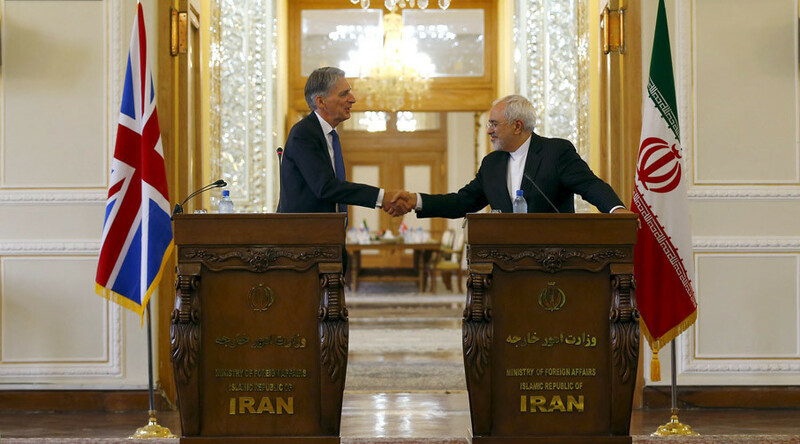 The Board of Deputies president was clear in his rejection of the nuclear agreement signed last month by Iran and six leading world powers – China, France, Germany, Russia, the UK and US. The landmark deal promised the end of international sanctions against Tehran in exchange for putting restrictions on its controversial nuclear program. “The Board is fearful that western democracies will pay a very heavy price for their appeasement to a rogue dictatorship and will come to regret bitterly the enthusiasm to reach an accommodation with an utterly cruel and untrustworthy regime,” Arkush said. UK Foreign Secretary Philip Hammond, who was involved in the negotiations, has said the agreement was the only alternative to war. “The real alternative to a deal that prevents Iran building a nuclear bomb almost at some stage would have been war. What we have averted with this agreement is the threat and a prospect of a war,” he told parliament last month. Hammond also criticized the official Israeli stance on Iran, claiming the country wants a “permanent stand-off” with Tehran. Conservative MP Pickles echoed Arkush’s warnings, however, claiming Iran could only prove it is not a threat through a series of “constructive actions,” including the end of Iranian weapons transfers and financial assistance to terror groups. “Iran must stop encouraging and promoting violence against Israel. Iran must stop its current attempts to establish a military presence in southern Syria along the border with Israel.